Click here to register online or fill out paper registration at East Shore! Learn Unitarian Universalist Principles through Play, Practice, and Community! Each week, we will learn about one of our core U.U. Principles, including the proposed 8th principle. Developed by our own congregants to include multi-age access and learning to: worship, ritual, crafts, and activities. Children and youth will have the opportunity to grow, together! We’re going to be featuring members from East Shore throughout the year who will share some of their passions and skills with kids, such as music, theater, and dance! Please write if you’re interested in sharing your passions as a guest in our 9 a.m. program. We use an open-source curriculum developed by religious education leaders in the Unitarian Universalist Association, including East Shore’s Director of Lifelong Learning, Aisha Hauser. The children’s programs will be run in cooperation with families and interested members of the congregation. 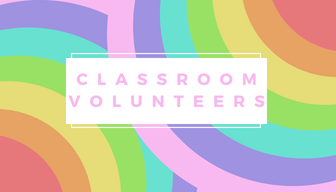 Our classes rely on classroom support, from parents, guardians, or caregivers, to volunteer alongside our full-charge R.E. volunteer teachers. Each family is asked to volunteer 4x throughout the year. Signup here to help in our R.E. classrooms! Interested in volunteering in another way? Write to Amanda to learn out how! That each and every person is important. That all people should be treated fairly. That our churches are places where all people are accepted and we keep on learning together. That each person must be free to search for what is true and right in life. That everyone should have a vote about things that concern them. In working for a peaceful, fair, and free world. In caring for our planet earth. Working for justice for all.